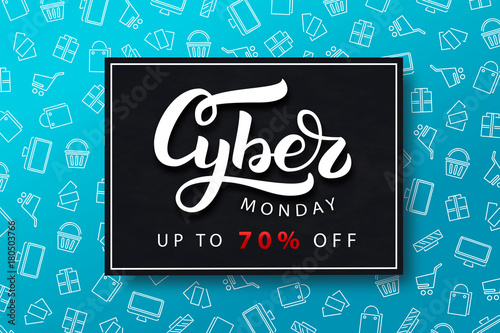 Vector realistic isolated promo banner for Cyber Monday for decoration and covering on the blue background. Concept of discount and sale. Use Information Please contact your licensing representative for more on release information.